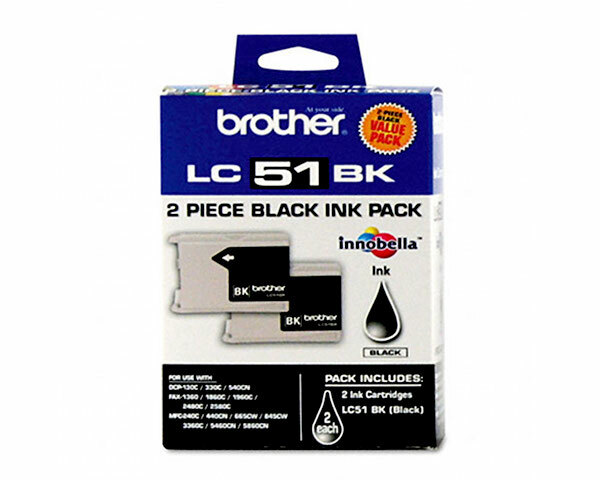 The Brother MFC-465cn is a photo quality color inkjet that is perfect for a household that uses a network setup, due to the built in Ethernet interface and high speed inkjet printing the unit is capable of. With a pop up LCD screen and 4x6 photo tray, the Brother MFC-465cn is an excellent example of a device designed with both business and pleasure in mind. As a photo printer, the Brother MFC-465cn shines with its 2 in. color LCD display that allows users to preview their photos directly from a memory card, even without the use of a PictBridge enabled camera. The device even comes with editing capabilities, which makes it a great stand alone device for those without the use of PC. On top of its excellent photo processing skills, it also includes excellent office related functions such as an automatic document feeder that can assist in produce massive amounts of copies or scanning multiple documents. The unit even includes a fax modem and also an external TAD interface for connecting a phone headset. The print resolution of the Brother MFC-465cn is absolutely stunning and tops out at 6000 x 1200 dots per inch. 32 MBs of built in memory help to keep heavy duty photo printing moving along at an acceptable pace, though it will be nowhere near what the device can do for monochrome text printing. Unfortunately, not additional memory can be added, but this shouldn't prove to be a problem. Surprisingly, despite the unit's extremely high quality printing capabilities, it is also extremely fast. With speeds of up to 30 pages per minute in black and white and up to 25 pages per minute in color, the Brother MFC-465cn is second to none when it comes to small, desktop photo printers. 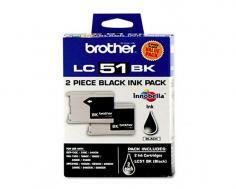 The fax modem in the Brother MFC-465cn, though very convenient, is extremely slow. It runs at a maximum speed of 14.4 Kbps and can only send and receive fax transmissions at a rate of approximately 6 seconds per page. This is about one third the speed of transmission that higher end machines have. The unit's quick scan memory transmission also runs a little slow at 4.72 seconds per page. 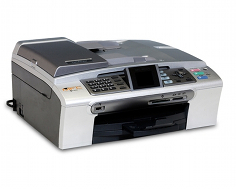 The unit is extremely compact, and therefore has a minimal paper storage capacity. Only 100 sheets can be held in the unit's paper tray, though it does also include a 20 sheet 4 x 6 photo bypass tray for glossy photo paper only. 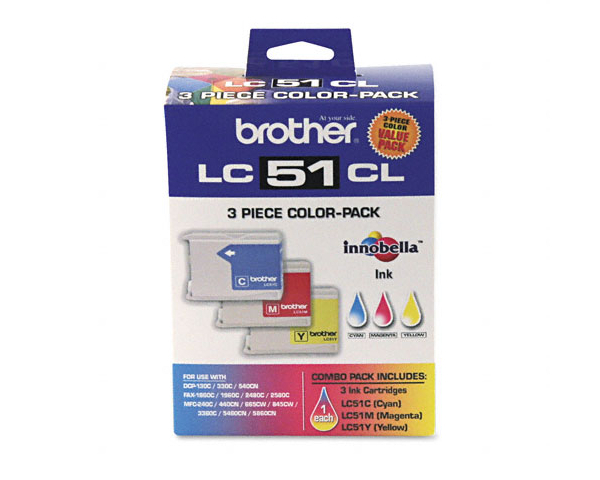 Review it: "Brother MFC-465CN "
Unlike laser printers that rely on solid toner as the consumable, inkjet printers use liquid ink that, though less expensive than toner, offer much lower page yields, often as little as one tenth the amount per price. The Brother MFC-465cn, being a color printer, uses four individual ink cartridges, each of a different color. In this case: black, cyan, magenta, and yellow. The black toner cartridge offers roughly a 500 page yield at 5% coverage, while each color cartridge holds up to 400 pages worth of data.